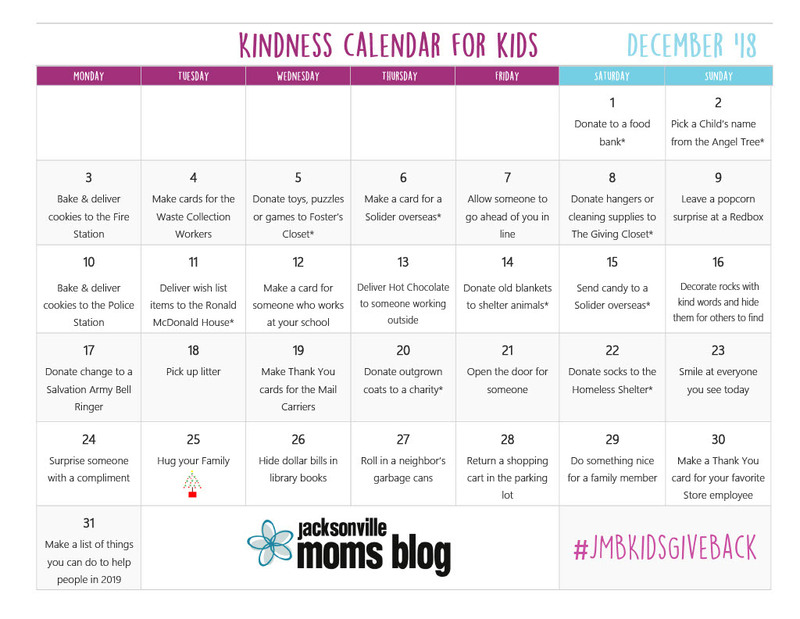 My hands-down most favorite thing I do with the Jacksonville Moms Blog is the annual Kindness Calendar for Kids. I love getting my own children involved with giving and showing gratitude, especially in the last month of the year. The calendar is unique in that it features not only small acts of kindness that literally anyone can do, but also very impactful acts of giving such as sending a solider a box of candy overseas, donating coats and participating in a local food drive. Please check it out on Jacksonville Moms Blog!